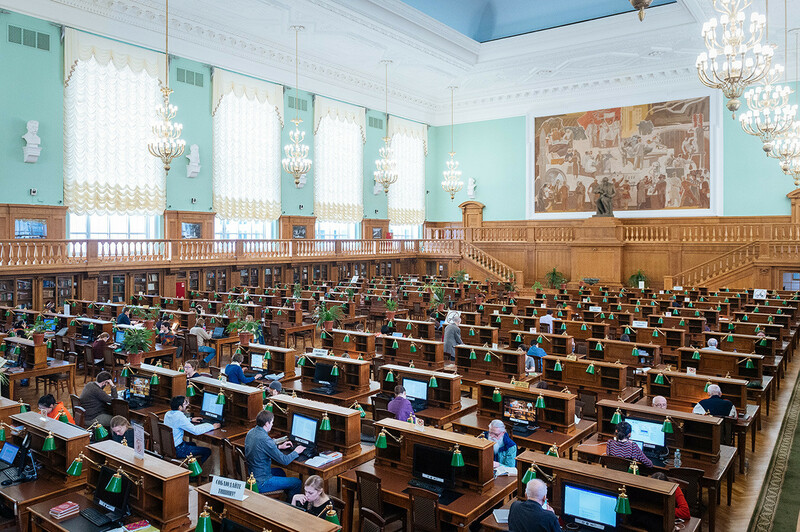 The Russian State Library, known to Russians affectionately as the “Leninka” is not just a mecca for scholars and bookworms. Besides being a reading sanctuary, it doubles up as a dating “site” for intellectuals and a place for doing crosswords and even gymnastics. 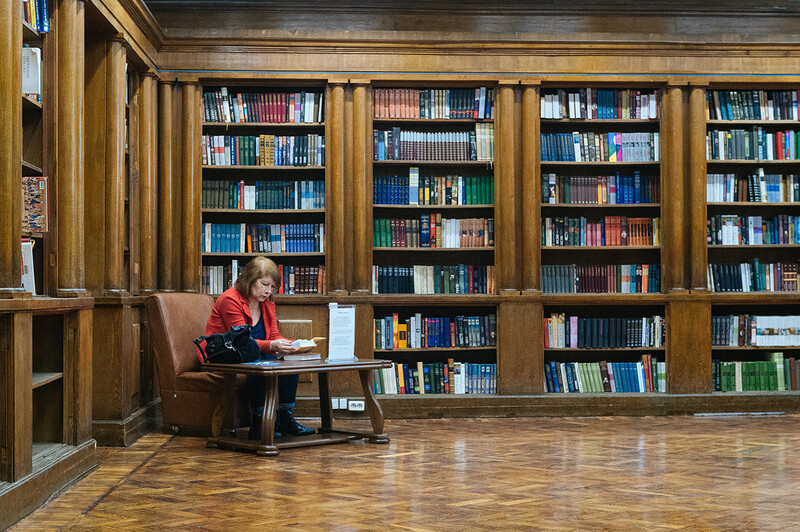 The camera clicks cause all eyes in the hall to switch disapprovingly from the reading material in front of them to the photographer – the source of unwelcome noise. “Keep silence” here is as common a sign as “No smoking” on board a plane. The moment we show up with our photographic gear, the library supervisors, like hawks, swoop on us from all sides, demanding to see our permission to take photos (thankfully, we have it on us). 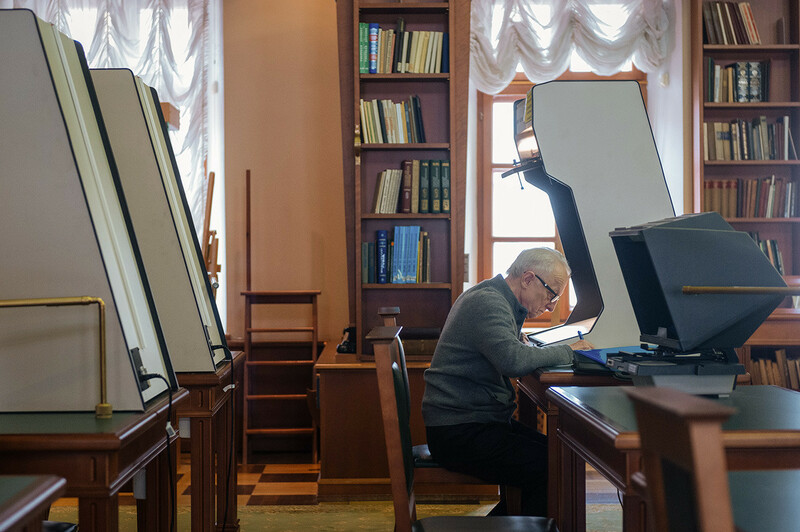 With custodians such as these, the largest book collection in Russia need never fear for its security. 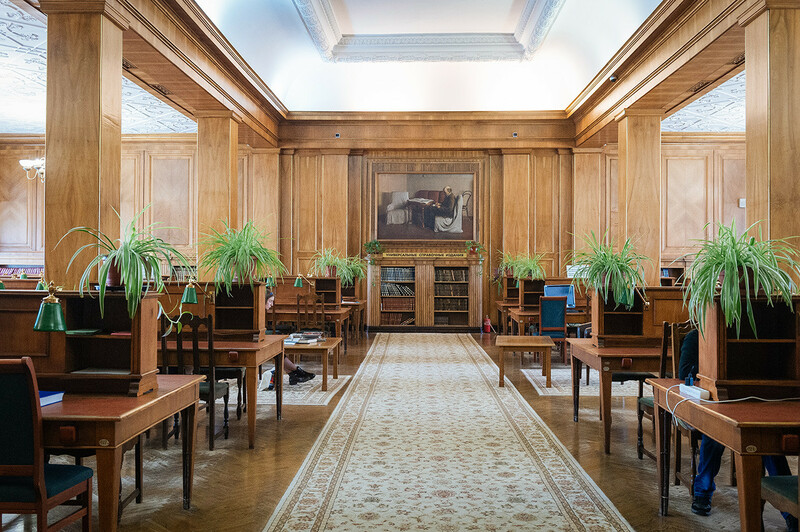 Initially, the library collection was formed from the personal collection of manuscripts and rare books of Count Nikolai Rumyantsev, a Russian statesman. 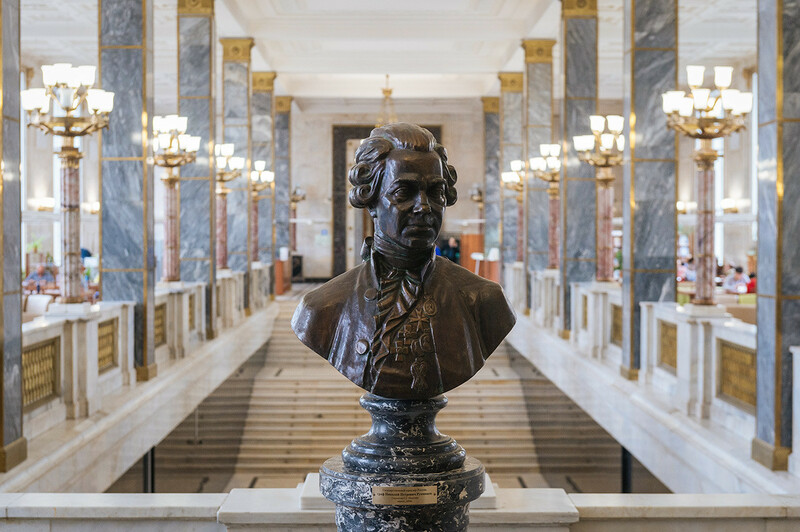 By personal order of Nicholas I, the Rumyantsev Museum was founded in St Petersburg in 1828. Over time, however, it could not withstand the competition from other institutions in Russia’s then capital, so the decision was taken to relocate the institution to Moscow. It was assigned one of the most beautiful buildings right outside the Kremlin walls, Pashkov House. After the 1917 Revolution, the library flourished. 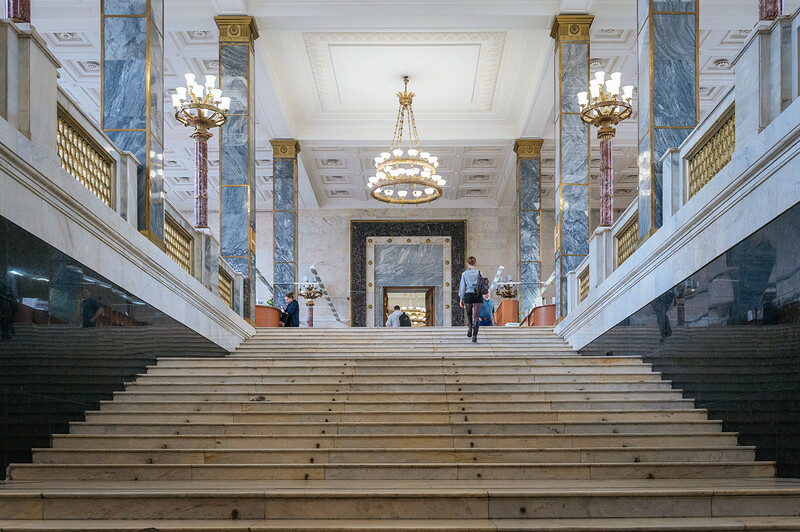 The capital followed the library to Moscow, and the Rumyantsev Museum essentially became the country’s main depository of books; a new building and indeed a new book depository were subsequently built for it. Today, the library buildings occupy an entire block. 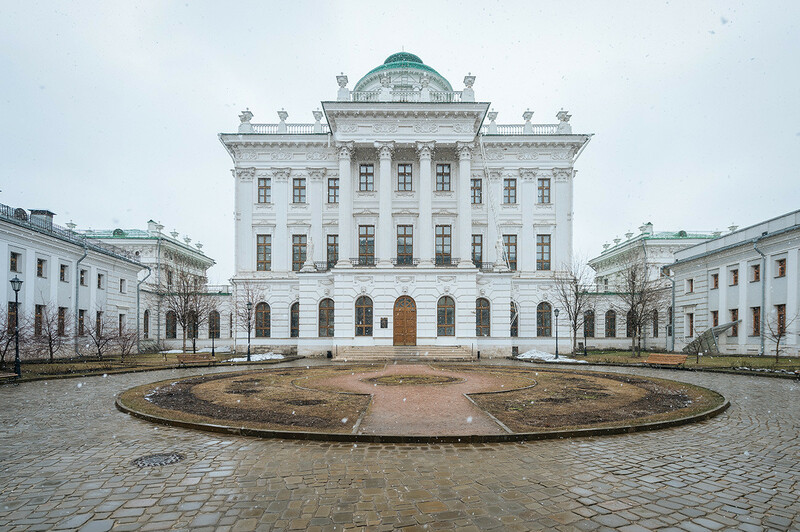 And Pashkov House is also home to a music section, as well as a manuscripts and cartography department. 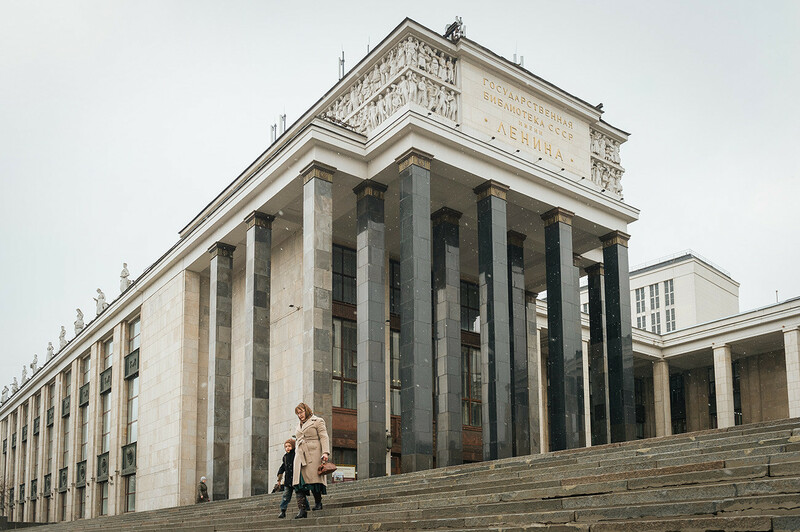 In Soviet times, the Rumyantsev Museum was renamed the Lenin State Library of the USSR, in whose honor the nearby subway station, opened in 1935, was christened Biblioteka imeni Lenina (Lenin Library). In more recent times, the library shed its Lenin prefix, but by then the name had stuck, and it is still referred to today as the Leninka. 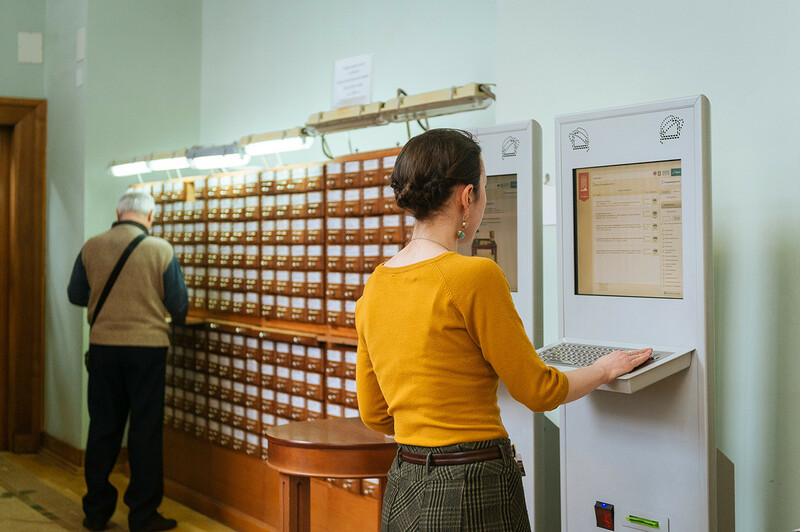 In 2013, a special library department and reading room opened at Moscow’s Jewish Museum and Tolerance Center. 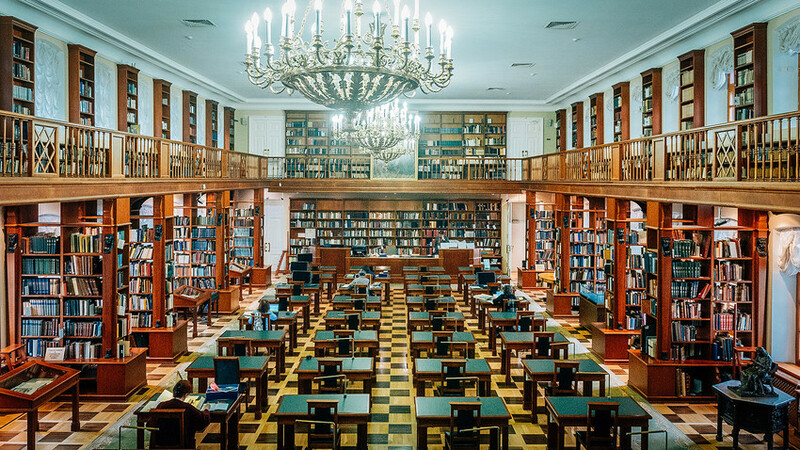 It houses the Schneerson Library – a collection of religious and secular literature by Hasidic Jews. Since then, however, the materials in the collection have been completely digitized. Visiting the library of, say, Oxford University in Britain, one feels the hand of ancient history resting on the shoulder. Likewise, the Leninka plunges the curious visitor into the past, nearer in time, yet still gone. 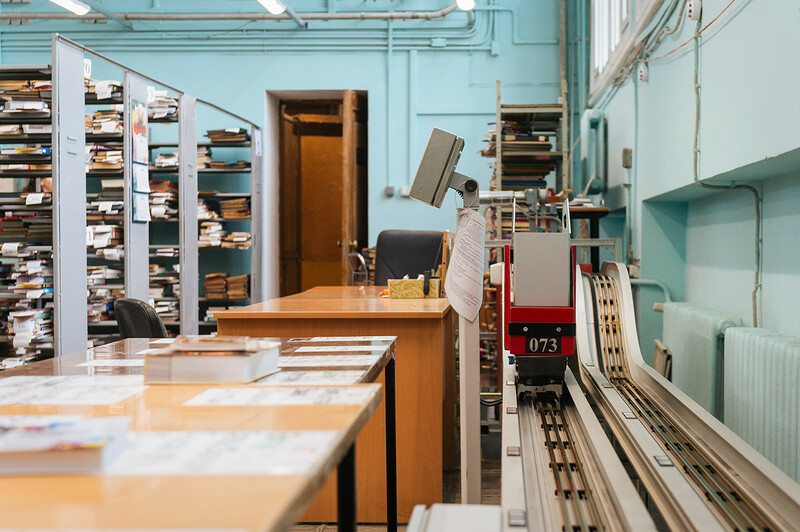 Green halls, cloth-covered tables, lamps – it is embalmed socialism with a human face, and perhaps the best that remains of the lost Soviet empire. The Leninka is never empty, its cloakroom always buzzing with people. 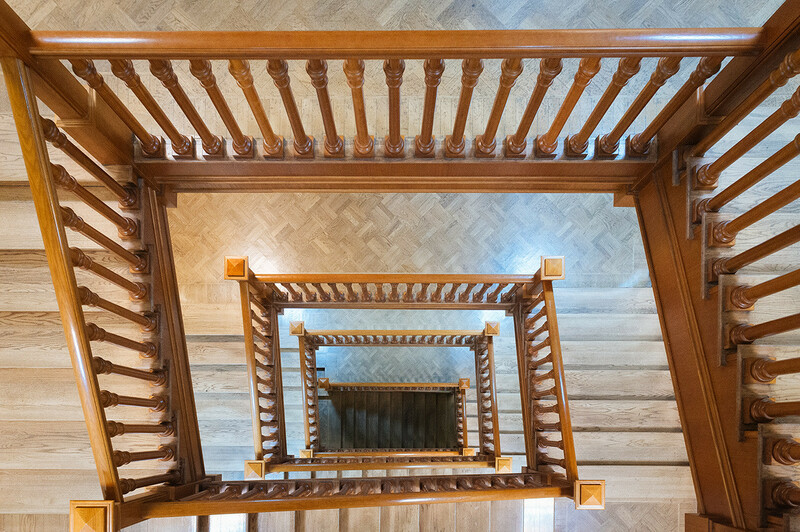 Every second, young women in short skirts and bespectacled professors ascend the main staircase of exquisite beauty. An eccentric fire-red haired lady of indeterminate age, humming something to herself, strides confidently into the music section, clearly a frequenter. Inside the library are several reading rooms kitted out with computers, as well as endless corridors and recesses with reading desks. The conveyor belt continuously churns out all kinds of volumes and folios from the book depository. Yours truly has time to catch sight of an Italian teach-yourself guide, a book on the basics of accounting, and a rare edition of Boris Pasternak. 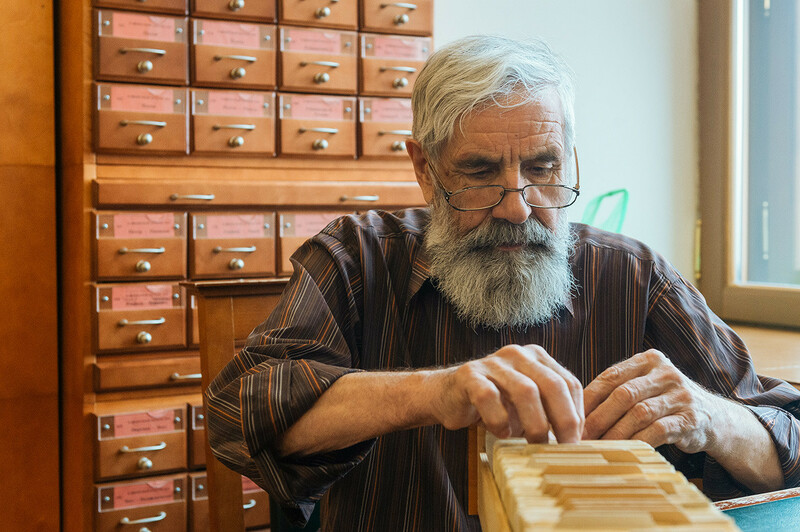 For some pilgrims, the library is a near religious experience – a ritual replete with antique books and tables with the old-world scent of wooden cabinets, parquet floors, and history itself hanging in the air. Switched on, the legendary green lamps plunge the room into an atmosphere of wonder. A smartly dressed elderly gentleman examines a manuscript through a magnifying glass, nearby sits a stern-looking middle-aged woman in glasses, clearly a teacher. Their neighbor is a bearded professor, and one table away a group of students are taking selfies. Other students, Chinese, are diligently studying Russian (making up for time lost on less academic activities). In the hall with card files, the atmosphere is more relaxed. A pensioner reads freshly pressed magazines so as not to purchase them. At the next table, a man in a tracksuit is solving a crossword puzzle. Is he passing time before catching a train? Or just exercising the grey cells? On the topic of exercise, some even do the physical kind. One visitor, for instance, spreads out a rubber sheet in a remote corridor and does gymnastics, nourishing the mind and body in true Ancient Greek style. Today, the library houses more than 47 million units of storage in 367 languages, including some rare Oriental ones. 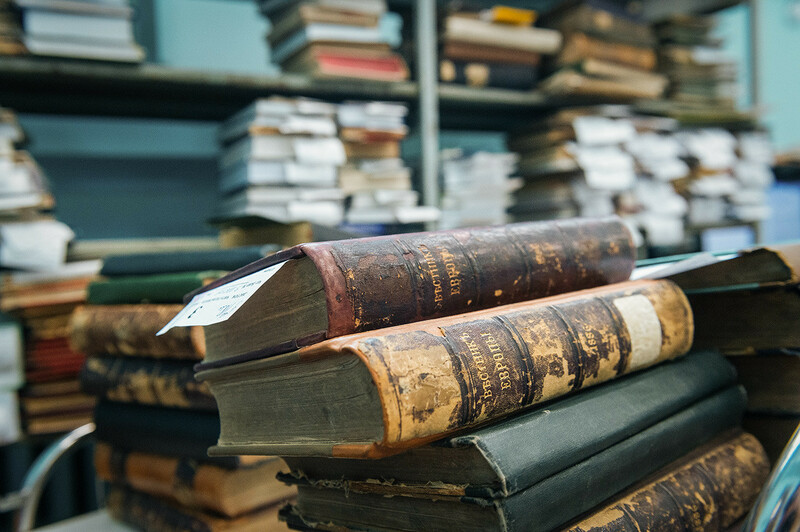 In addition to publications (the library receives an obligatory copy of all printed works), there are rare manuscripts, printed versions of visual arts, photo materials, maps, sheet music, periodicals, regulatory acts, military literature, and, of course, literature on the art of librarianship. Here, one can also find every dissertation written in the country since 1951. 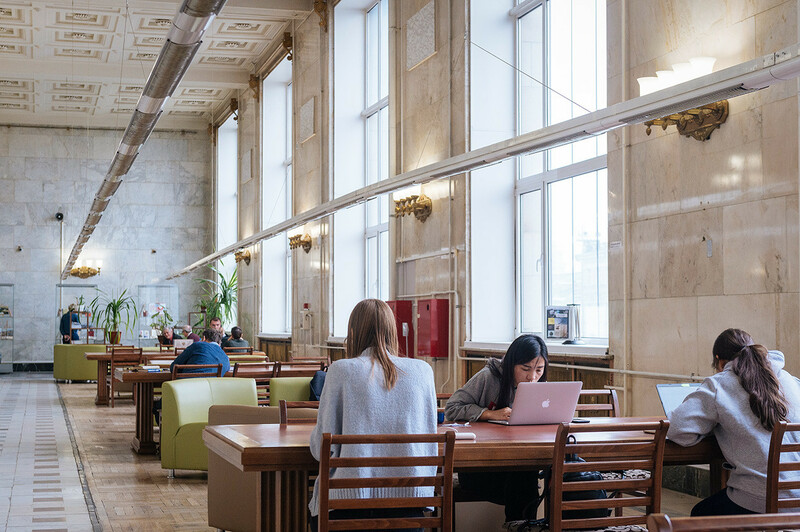 The library has 36 reading rooms open to visitors, and Wi-Fi is near ubiquitous. Around 100,000 new users register annually. Employees offer up an interesting statistic: Every minute the library doors are opened by five visitors. 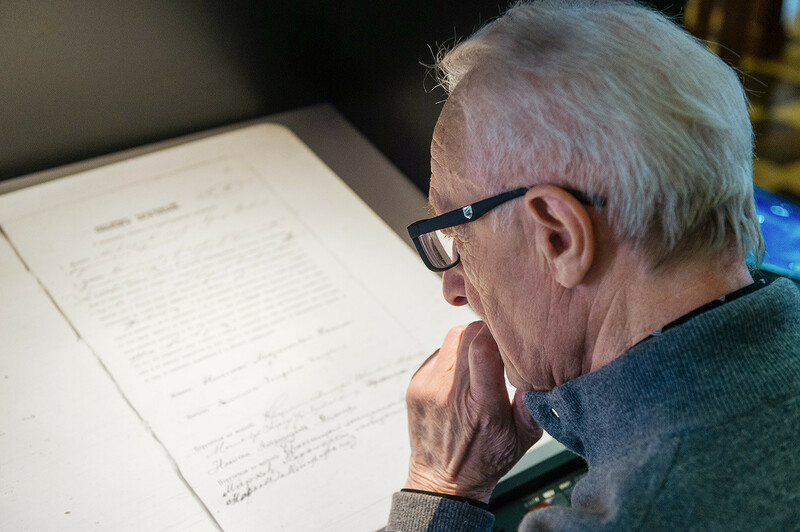 The Leninka is currently in the process of digitizing its archives. 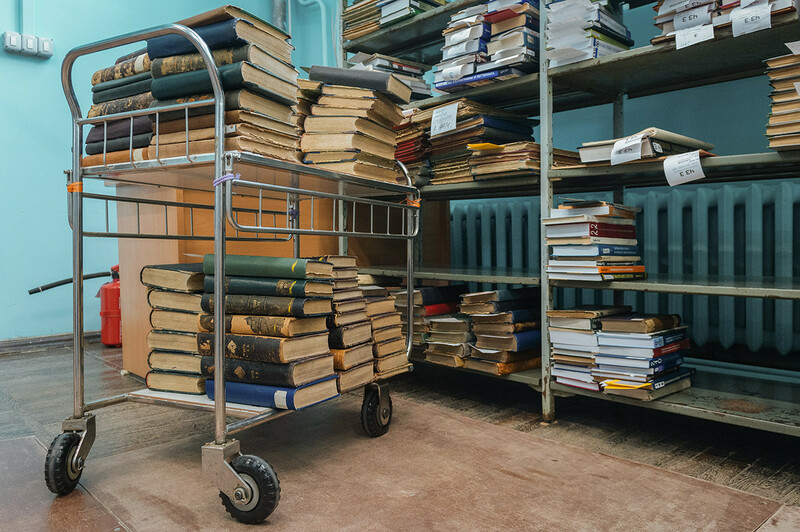 Its electronic library already has 1.3 million documents, not to mention access to remote electronic databases, including those of Cambridge University Press and Springer Publishing, various online library databases, and the JSTOR archive of digitized journals. The full list is available on the Leninka website. Citizens at least 14 years old of any country can register at the library. And it is absolutely free – all that’s required is a piece of ID (plus passport and visa for those without visa-free entry to Russia). The procedure takes no more than ten minutes. You will be photographed and issued a plastic library card. Students often joke that the mugshot on your Leninka card is bound to be the worst you’ve ever had (you can always blame the photographer). That said, these days it’s possible to sign up online. After registration, you will need to offload your coat and any large bags or rucksacks to the cloakroom. One small bag and a laptop can be taken inside. The library is open from 9 am to 8 pm every day except Sunday. Be prepared to have to wait for the book you want, perhaps even a few hours while it gets delivered from the book depository. If time is short, you can always order a book and pick it up the next day. For many a long year, the Leninka had a reputation as a place for meeting one’s better half – a wife or husband from a respectable professorial family. Some visited the library with this specific purpose in mind. If the walls of the Leninka smoking room could talk, they would tell quite a story. For it was here that romantic hopefuls came to chat so as not to violate the hallowed silence of the reading rooms. In the Oscar-winning movieMoscow Doesn’t Believe in Tears, the heroine, a provincial student, pines away in the Leninka reading hall, eyeing up any number of suitable matches, before heading into the smoking room, where two young academics simultaneously offer her a light. 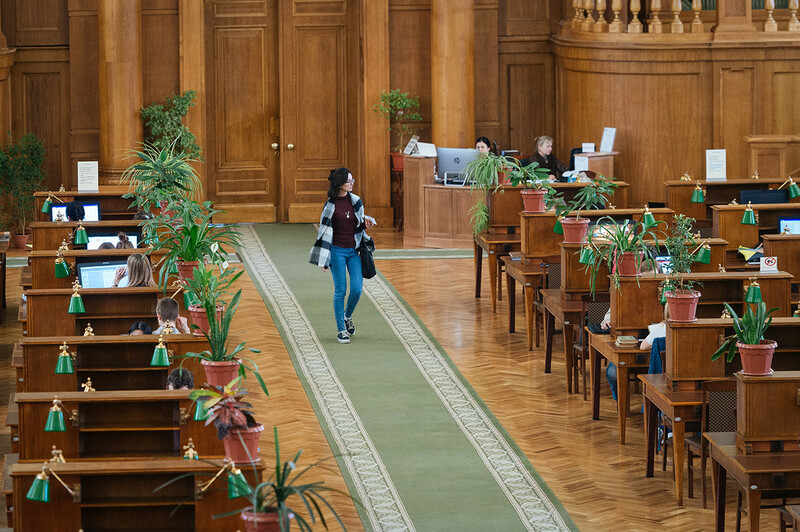 According to the library supervisors, visitors still ask about the famous smoking room, but alas, it is no longer there – smoking is now prohibited inside the building. But don’t despair, there’s a wonderful canteen instead. If that’s not a place for kindred souls to find each other, what is? 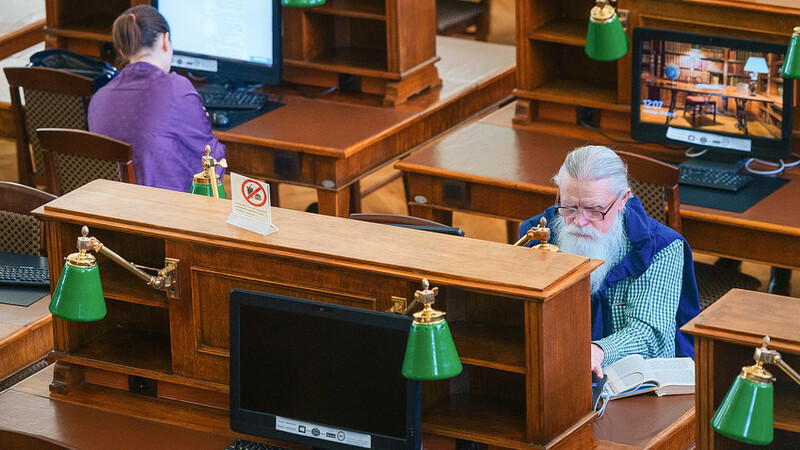 Do foreigners have the right to read and borrow books at Russian libraries?